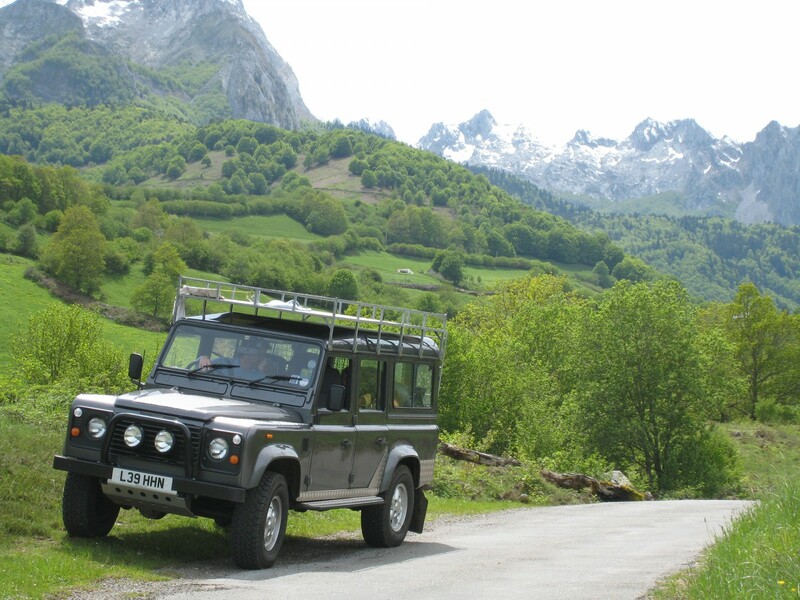 At the beginning of 2007 we set off from England with our two small children (then aged 2 and 4) for a six month journey around Europe in an old refurbished land Rover. That was the plan at least! We managed to get to France easily enough but never got any further as we fell in love with the Bearn region of France, bought an old , tired , farmhouse and have never looked back. Our intention had been to spend a few weeks in France, with planned stays in the Dordogne , the South West of France and the Alps and then to move on to try to get to Spain, Italy, Switzerland, Germany, Austria and anywhere else we had time for before returning to the UK in time for the kids to start school that September. We started with a great few weeks in the Dordogne and enjoyed many days out visiting the local markets , chateaus and vineyards. From here we headed east to the Alps for a five week skiing adventure with the kids – the Land Rover having it’s first outing in the snow and carried us safely up and down the mountains. With the skiing season coming to an end, and our wallets burning, we headed back West to the Atlantic coast and then followed it southwards to Biarritz near the Spanish border. It was at this point of the journey that we started to get side tracked from our initial intention of seeing a bit of Europe on our 6 month tour. We immediately fell in love with the Bearn region with it’s rolling green hills rising up to the majesty of the Pyrenees mountains. We spent many days driving around and exploring the area and started to dream of the possibilities of a life lived in this area. With not a lot of thought and a lot of instinct we started searching for a house to buy. After just a handful of viewings we had found the house we wanted and set about buying it. Our European tour was over and our new life had begun.